Well, this is refreshing. A two-CD live recording including covers of over-played classics such as “The Thrill Is Gone”, “Sweet Home Chicago”, “Baby Please Don’t Go” and “Key To The Highway” might not be top of everyone’s wish list. 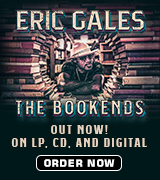 Equally, a two-CD live recording of a solo performer playing blues on a ukulele might sound like a one-trick pony being stretched too far. 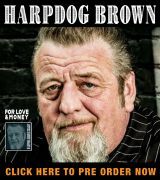 When it’s a two-CD live recording from Canadian blues artist, Manitoba Hal Brolund, however, your only complaint might be that there should be a third CD. 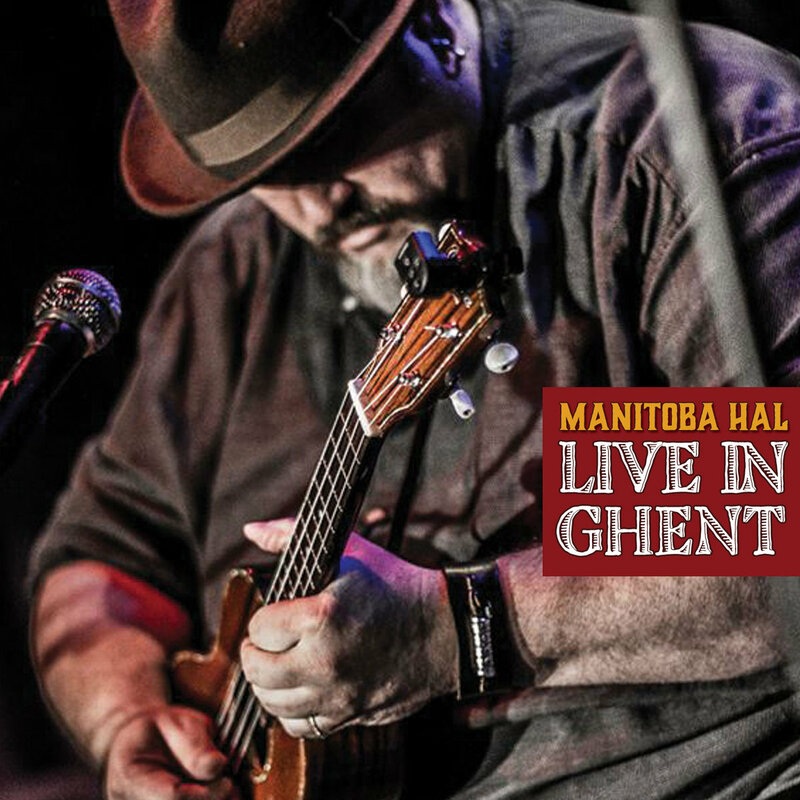 Live In Ghent is a belting release that bears repeated listening and leaves you wanting more. Brolund’s command of the ukulele is dazzling. Opening with an aching cover of Robert Johnson’s “Come On In My Kitchen”, he immediately has the audience (and the listener) in the palm of his hand, playing with a technical mastery, emotional depth and a nuanced understanding of dynamics. The second song, Tom Waits’ “Way Down In The Hole” sees the introduction of Brolund’s clever use of live looping technology – a key mechanism to enable him to fill out the sound and maintain variety through the set – as he strums the initial chord progression then fires off single note salvos of blues licks over the repeated progression. Also a fine singer, Brolund has a powerful, emotionally-charged baritone voice that fits his material perfectly. As for the oft-covered classics, the transition from guitar to ukulele backing gives them all a new lease of life. “Baby Please Don’t Go” is given a total make-over, unrecognisable from the Them or Big Joe Williams versions. “Let The Mermaids Flirt With Me” draws out and builds upon the folk-influences in Mississippi John Hurt’s original. “Sweet Home Chicago” is played at a breakneck pace with lightning-fast note choice. Little Walter’s “My Babe” is transformed into a finger-picked workout with additional chord changes added. And Howlin’ Wolf’s “Built For Comfort” features a hypnotic loop that is a long way from Hubert’s original iconic guitar playing. Songs that one associates with slide guitar (“You Gonna Need Somebody On Your Bond”) are played with fingers, while a Brolund original, “Evangeline Blues”, features some lovely slide played on a steel string baritone uke. Even a cover that is played relatively straight, such as “They’re Red Hot”, sounds new and different because the uke sits at a different position in the frequency spectrum than Robert Johnson’s guitar. With a collection of classics blues songs played with imagination and life, a few smart original songs and top class sound quality, Live in Ghent captures a fine artist at the top of his game. It’s a great release.